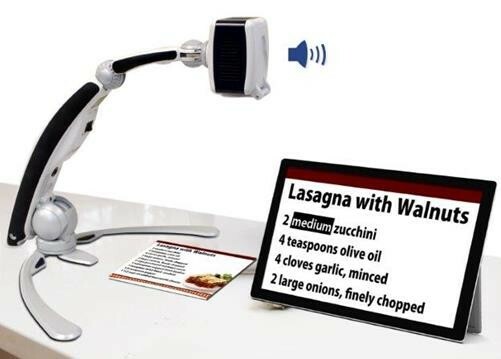 New Design, Connects to iPad wirelessly! Now the answer is a resounding…yes! 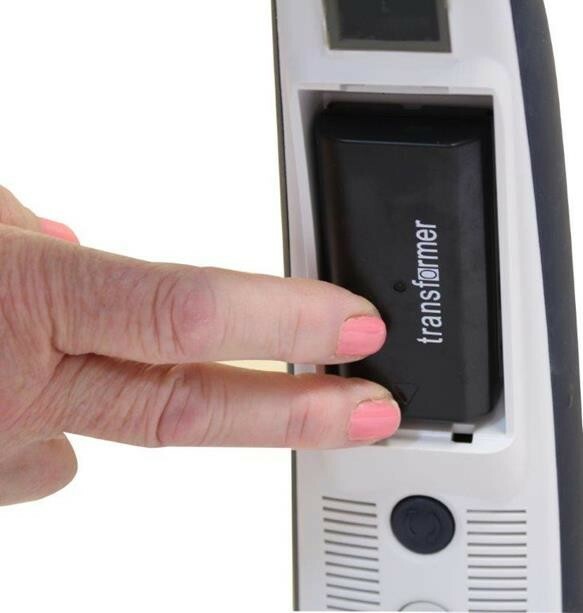 The new Transformer HD Wi-Fi is a total redesign…and a break-through new low vision product! It has all the functionality of the former version, plus so much more! The new Transformer HD Wi-Fi now houses a built-in Wi-Fi. This allows the new Transformer HD Wi-Fi to connect to an iPad, using no wires… that means…Wirelessly…! 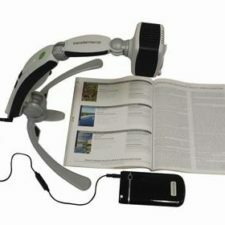 The benefits of this new wireless functionality are enormous! Remember… the new Transformer HD Wi-Fi also has a built in 2-hour battery, so students with low vision do not have to plug it in during class (a 2nd 2-hour battery and 2nd charger are also included) – students are not anchored to a wall with a long power cord, and they are not fighting with messy “spaghetti” wires. Students are also NOT bleeding down any laptop batteries, because the battery on the new Transformer HD Wi-Fi is totally independent from the users laptop. 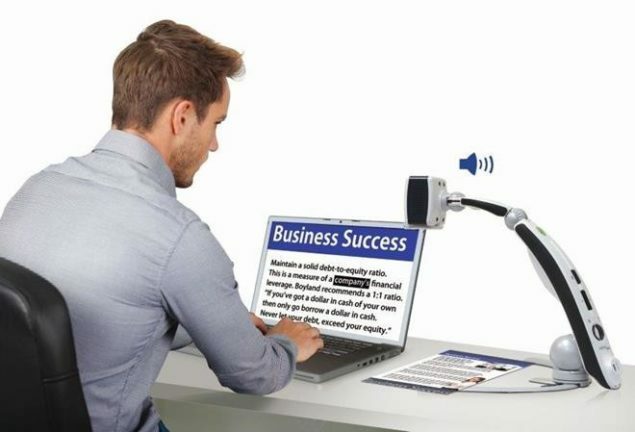 The new Transformer HD Wi-Fi low vision aid, will also allow users with vision loss to now easily connect to Android tablets, PCs and MacBooks wirelessly. Isn’t that amazing..!! 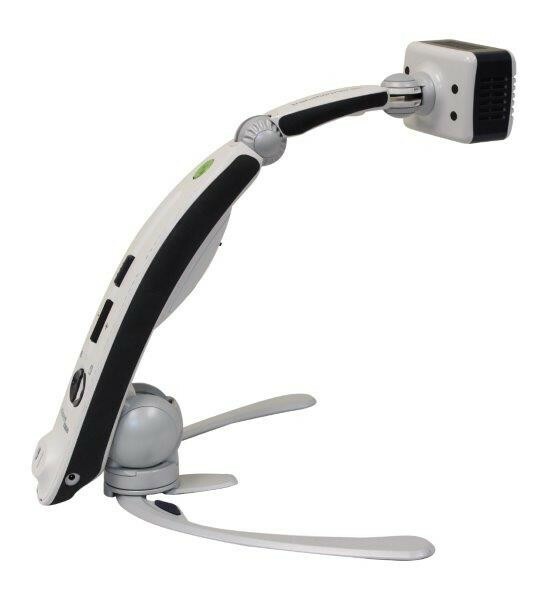 Imagine carrying an iPad, or a Surface Pro Tablet, or a MacBook Air, or Android tablet to your class, so light, so thin, and now your portable battery operated CCTV electronic magnification system connects to it, wirelessly. 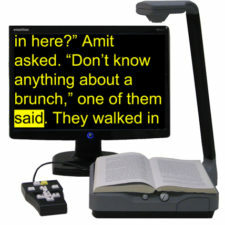 For increased visual optics, users who are visually impaired can also connect the new Transformer HD to a PC or a Mac, using a USB cable, which is provided. 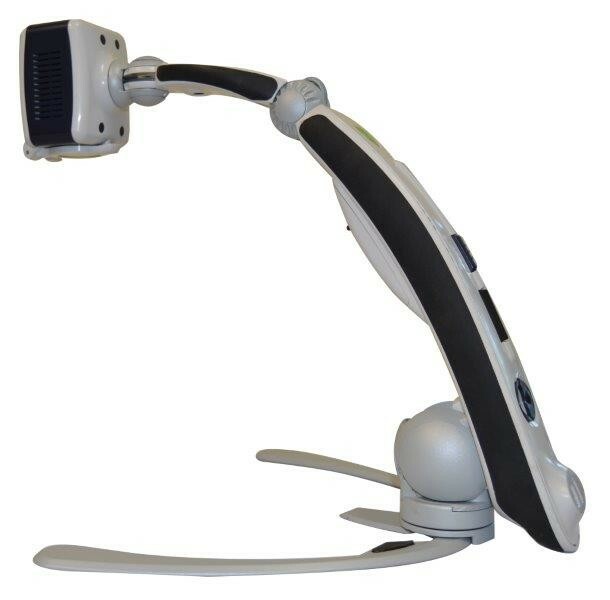 For the absolute highest quality, state of the art image, users are also able to connect the new Transformer HD to any HDMI monitor. There are no software subscription limits, so users can connect the new Transformer HD Wi-Fi to an unlimited number of outputs right out of the box, whether one is using a PC at home, a Mac at school, an iPad while traveling, an Android tablet at a friends house, or a HDMI monitor when relaxing at night. So much flexibility..! 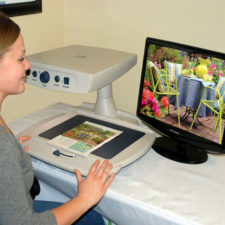 Users are able to use the new Transformer HD Wi-Fi to see distance viewing, near viewing and self viewing. 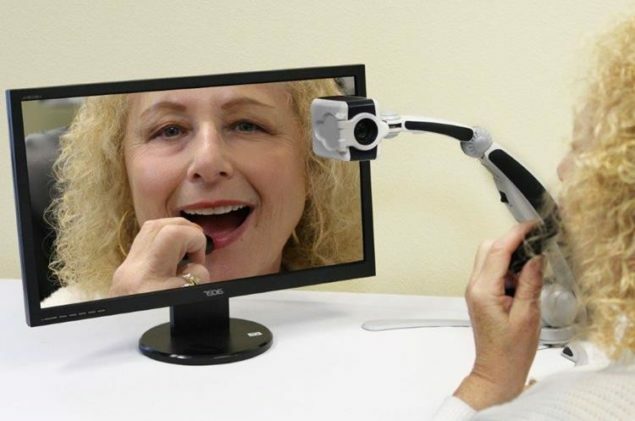 The New upright arm position of the 3-in-1 twistable 1080p HD camera head provides users a much higher camera elevation, resulting in taller clearance over objects in front of the user. 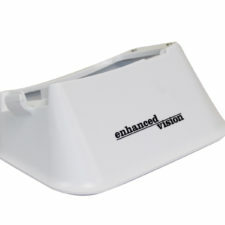 Now the camera can also fully-twist 360° for entire room view. – it is outstanding! 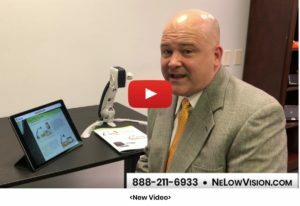 Additionally, users of the this New low vision product can now record endless hours of video in the classroom AND take an unlimited amount of photos…so many great options, so much versatility..! On top of all of the already mentioned many features and benefits, the new Transformer HD Wi-Fi also has a 13 megapixel OCR camera. Can you believe what you just read? In addition to all the aforementioned capabilities and flexibility, the new Transformer HD Wi-Fi also has Text-To-Speech…! Isn’t that awesome! OCR or Text-To-Speech is great for providing users the benefit of speed-reading their assignments by listening to a scanned image turned into speech. 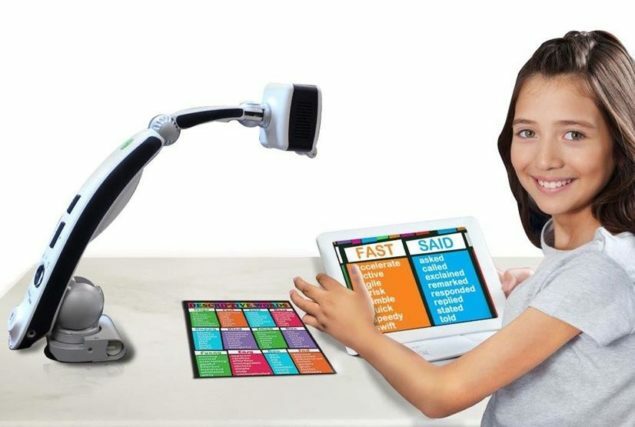 The option of turning Text into Speech rests the eyes and contributes to less fatigue and greater productivity, especially when users have longer reading tasks, like multiple chapter readings and voluminous book assignments. 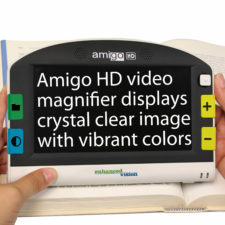 The new Transformer HD Wi-Fi is an amazing new technology for students, mobile professionals, or anyone with mild, moderate or severe vision loss, who needs a super high-powered, highly functional, highly versatile, highest quality portable electronic video magnifier, plus the highest quality text to speech system. We are happy to announce that Transformer HD is now compatible with the latest versions of Supernova (16.06), Zoomtext (11.7) and Zoomtext 2018. Additionally OCR capability has also been added when using these 3rd party add-ons. For complete technical updates, question and answers, and how to update your Transformer HD, please click on the Transformer HD Tech Bulletin link below!